Choosing a grand entrance song to play at the reception to announce the wedding party's arrival is easy. Keep in mind you're selecting the best wedding song that reflects the tone of the reception and the personalities of the bride and groom. There are a few ways you can narrow your list of choices. Will people recognize it, or is it too obscure to be appreciated? Does it reflect our wedding party? Does it reflect our personality as a couple? Is it appropriate for our reception (not too formal, but nothing with foul language, either)? Do I want just an instrumental version, or lyrics, too? Television and movie theme songs can make excellent grand entrance songs. Popular themes from television shows include Love and Marriage from Married. . . with Children and the theme from The Simpsons. If you are adventurous, maybe the Survivor theme is right for you. Honor your friends in the wedding party by playing the chorus from The Wonder Years (A Little Help From My Friends) as your opening song. 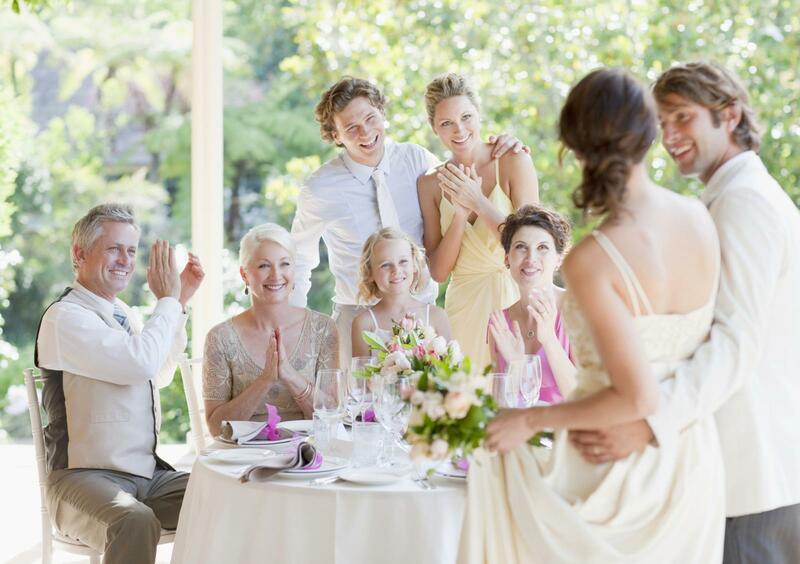 Children's movies can provide a number of romantic but still lighthearted numbers from which to choose your wedding party's grand entrance song. Perhaps Cinderella was a childhood favorite of the bride, or maybe your first date involved seeing a Walt Disney movie. Regardless, you are sure to find Disney wedding songs that fit the bill if you wish. 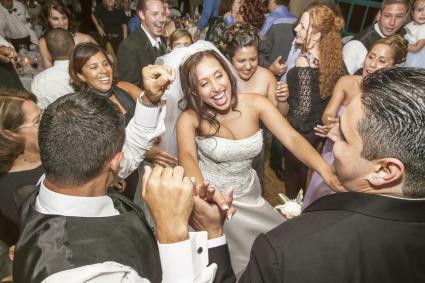 No matter what song you choose, your wedding party and guests are sure to have a blast at your wedding reception.